Need a way to beat the heat? 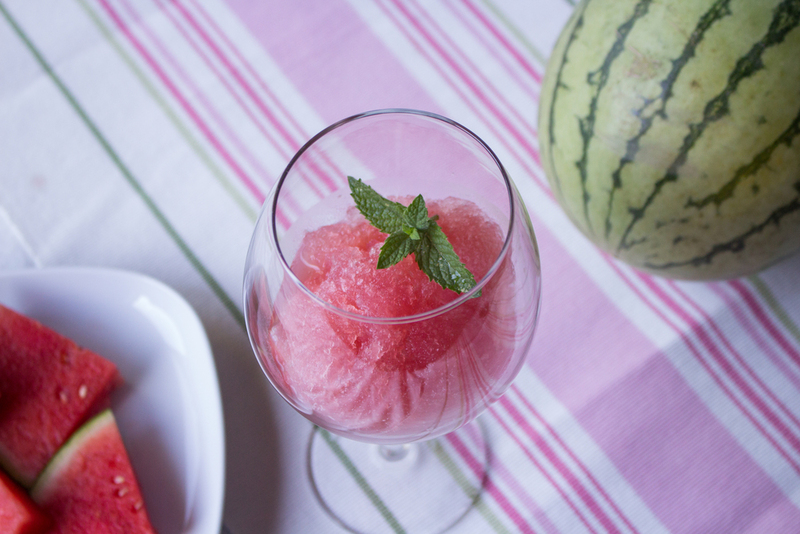 What better way than some summer favs combined in a frozen, adult drink. 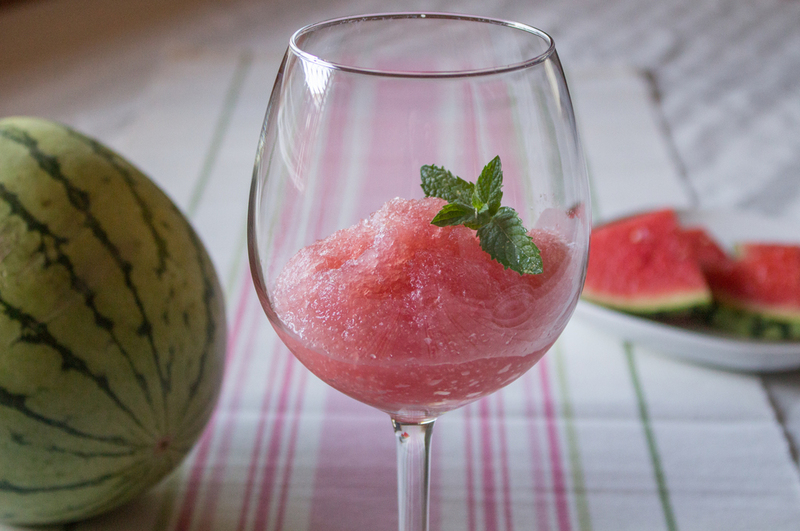 *Watermelon Puree: cube a small seedless watermelon, puree in a blender or food processor until smooth, strain or use cheesecloth to remove seeds and large pieces. 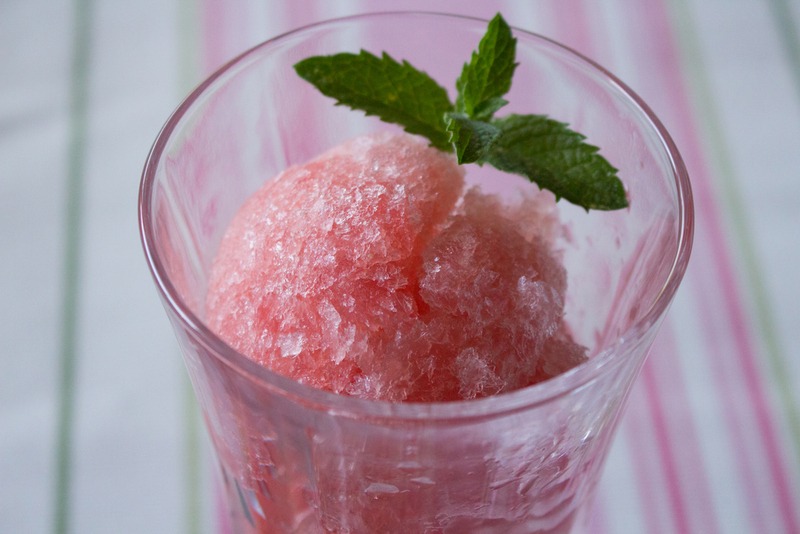 **Mint Simple Syrup: In a heat proof container combine 1 cup each sugar and boiling water. Add 4-5 mint sprigs and let steep uncovered until room temperature.